Developer : 2013 ScanSource, Inc. 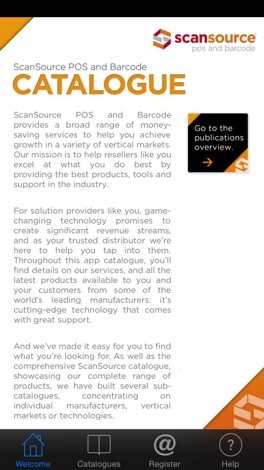 The ScanSource POS and Barcode catalogue app is the publications centre for all your auto id and point of sale product needs. Search and browse products that fit your needs. 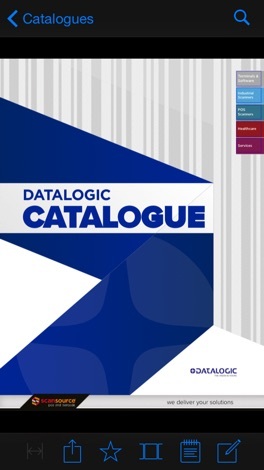 Publications in this app include the entire ScanSource product portfolio, vertical focused catalogues and catalogues dedicated to our manufacturer partners like Datalogic, Honeywell, Motorola and many others. For solution providers like you, game-changing technology promises to create significant revenue streams, and as your trusted distributor we’re here to help you tap into them. In these product publications, you’ll find details on our services, and all the latest products available to you and your customers from some of the world’s leading manufacturers: it’s cutting-edge technology that comes with great support. We'll be updating these publications every 6 weeks. Tanken met hoge korting, dat kan. Met de Localhero Card profiteer je altijd van hoge brandstofkorting bij GULF, extra korting bij de carwash, exclusief voordeel op heerlijke broodjes en meer… Altijd Korting bij jouw Gulf tankstation met de Localhero Card. More by 2013 ScanSource, Inc.